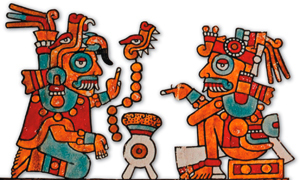 farming | WHY DO WE LOVE CHOCOLATE? Properly shaped seedling trees. Almost all the fruit is off the trees. Soon it’s the season for pruning. Some people no doubt see this as mundane, but there can be gratification in pruning. Especially after riding too much desk or swearing at chocolate machinery. Quietly shaping trees all day in a shady orchard. Bringing order to disorder. Stand back at the end of the day and appreciate the aesthetic. In Ghana, spraying against pests is seen as very important by farmers and is even mandatory under goverment policy. The goverment conducts a countrywide mass-praying programme with chemical pesticedes. AgroEco -LBI succeeded in convincing the goverment that organic pesticides on the basis of neem seeds could provide a viable alternative to chemical pesticides. However, this was neither an easy nor a quick process. First, the Cocoa Research Institute of Ghana (CRIG) had to test the neem seeds, lasting two years and costing $700.000,- before they were finally approved for use. However, whereas convential farmers are sprayed for free, AgroEco – LBI was charged with paying for the praying with the organic farmers. AgroEco-LBI responded by collecting neem seeds in the North of the country, bringing them to the farmers and training farmers on how to make the neem concoction for the sprayings. However, CRIG decided that the quality of this mixture was not adequate and insisted on the use of bottled neem from India in order for the product to become part of the mass-spraying scheme. (which results in a fourfold increase in price). 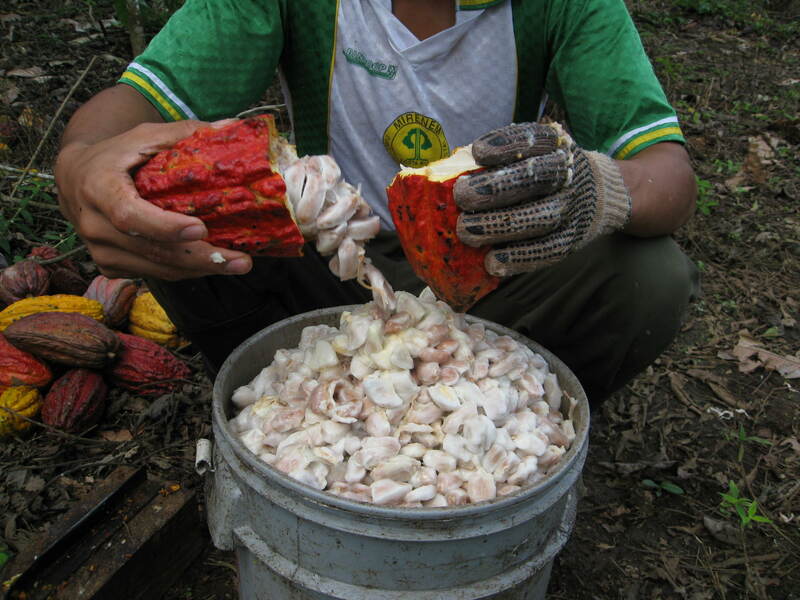 Fortunately, the effort of AgroEco-LBI was in the end succesful and currently in some cocoa growing districts the neem concoction is used in the spraying programme. 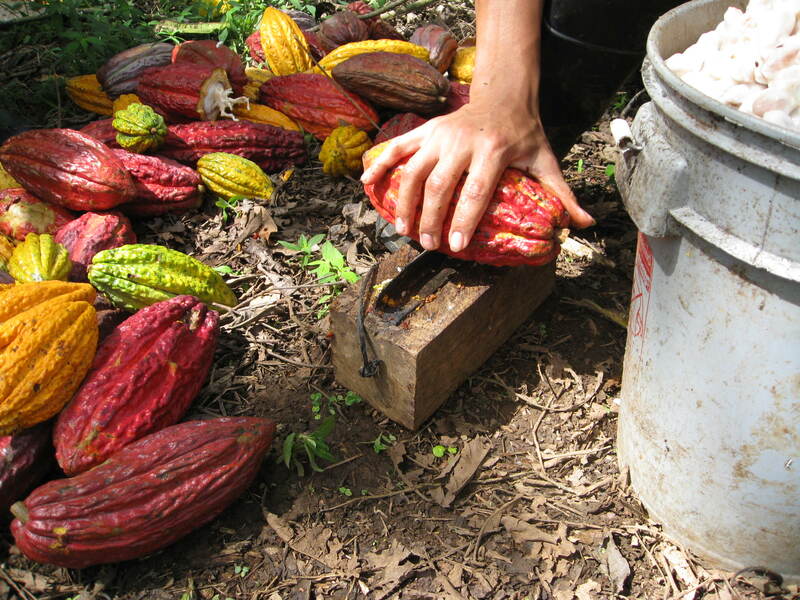 Organic cocoa plantations are biologically diverse and naturally have lots of shades areas. Over the years AgroEco-LBI discovered that cocoa farmers that employ good shade management have hardly any problems with insects. To monitor and to further publicise this process, a project was set up uears ago by Natural Resources Institute (NRI) and CRIG, financed by the Department for International Development in the UK. Pheromone traps for capturing insects were developed and made available to CRIG; however, CRIG still needs to secure a funded project in order to pay for the deployment of the traps. 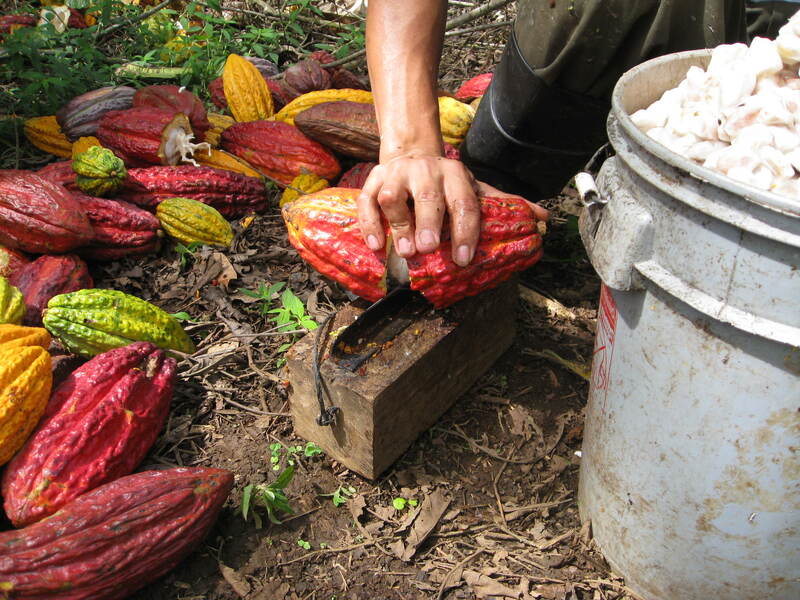 Biological pest and disease management in cocoa farming has been a major area of research and has been explored by numerous international institutes and companies, such as the French Agricultural Research for Development Centre (CIRAD), Mars, and the United States Department of Agriculture. Some successful experiments have been conducted and have produced positive results, e.g., using Trichoderma to combat Black Pod disease. Nevertheless, the effectiveness of such alternative inputs has been tested only in isolated experimental plots; the inputs have not yet been made readily available to farmers and have not been integrated in the training curricula provided to farmers (e.g., in the integrated pest management -IPM- strageties taught in the FFS). This is a typical example of a technology that is fully developed but is still on the shelf. AgroEco-LBI, together with the Royal Tropical Institute and Tradin Organic Agriculture (a Dutch trader is a world leader in organic commodities), responded to this problem by drafting a proposal for large-scale application of Trichoderma, together with local partners, in Cameroon and Togo.